I have over 15 years experience creating scientific diagrams, illustrations and models which have been published in numerous scientific journals and magazines. I have also produced information leaflets and posters for clubs, societies and events. Change file formats - e.g. do you have a PDF file but need a JPEG? 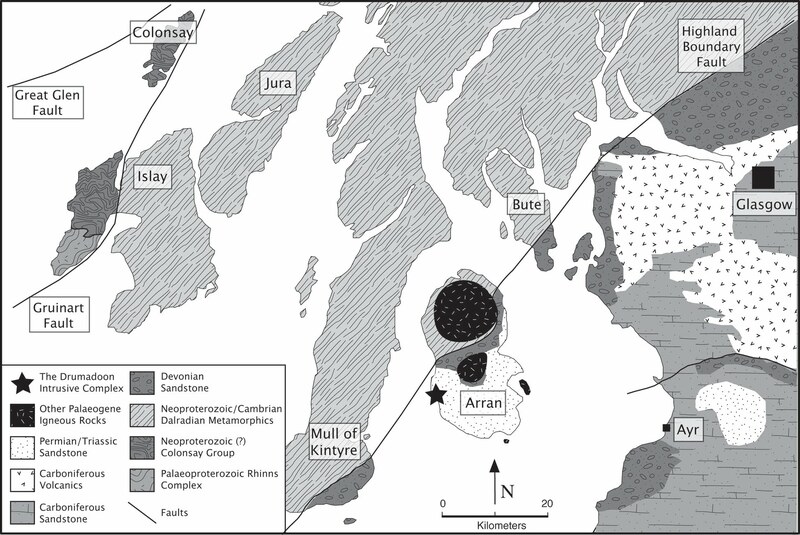 Map of the Isle of Arran and surrounding geology, from Meade et al. J. Petrology (2009) 50 (12): 2345-2374. Annotated base maps from Moossen et al. Quaternary Science Reviews (2015) 129: 111-127. Initial sketch of diagram, as envisaged by a colleague. See image, right, for final version. Final version of the image (left), digitised and colour added. From Emeleus et al. Journal of the Geological Society of London (2012) 169: 157-171.